The thing is, teenagers may have a hard time conceptualizing how today’s loan may look in terms of tomorrow’s reality. It’s easy for them to imagine a post-graduation life in which they live in a fabulous apartment, drive a new car, and have all the most fashionable clothes. Unfortunately, few students understand how college loan debt can take a big chunk out of their future earnings. That’s why it’s critical for you to sit down with your child and connect the financial dots for him or her. Sound daunting? Don’t worry. We’re going to walk you through exactly what you need to do. You’ll make an impact faster with your child if you’re able to show him or her exactly how college loans will impact their lifestyle after graduation. The first thing you need to is figure out exactly how much college is going to cost and exactly how you’re going to pay for it. That may sound difficult, but it’s actually not too hard if you use the right tools. From there, you should see a calculation of the total cost of school until your son or daughter gets their degree. 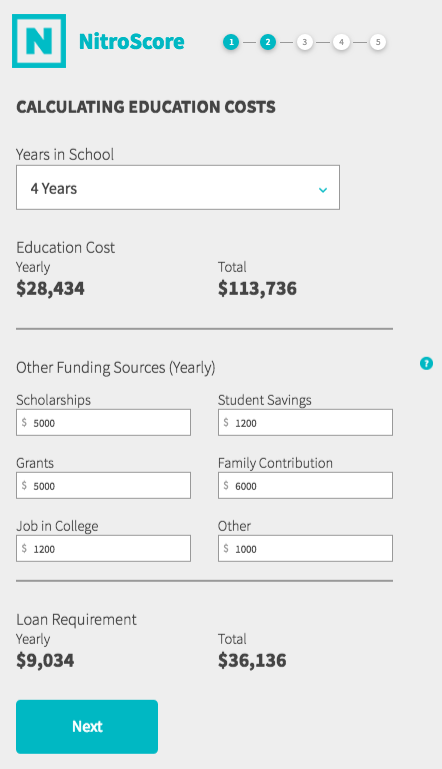 Plug in values for scholarships, grants, savings, contributions from family, jobs in college, and other income sources. 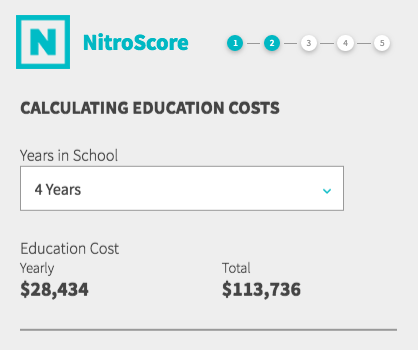 Nitroscore will automatically calculate the difference between the values you entered and the cost to attend the school you selected. From there, you’ll receive values showing how much money your child may need to borrow. 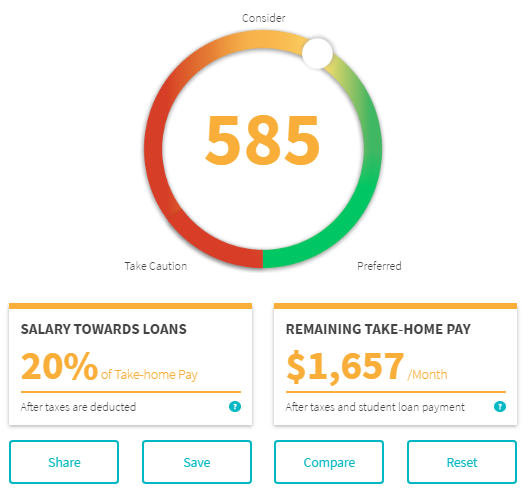 The slider on the right side of the page indicate how easy or hard it might be to pay back the loan post-graduation. 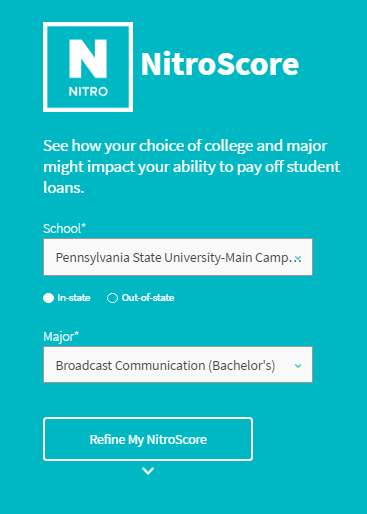 Nitroscore calculates this by taking the average starting salary for your child’s degree, compared to the forecasted loan payments based on the values you entered. 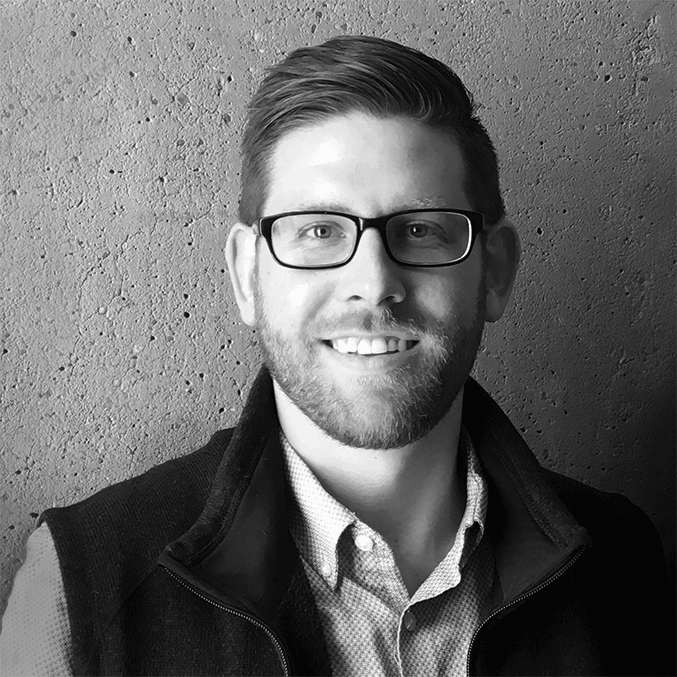 Adjust the values for funding sources and watch how the slider value changes. A higher Nitroscore indicates a more favorable loan scenario. Talk with your child about what you can do to make the score go higher. For example, choosing a less-expensive school will have a big impact on the Nitroscore. You might also want to talk about how having a job during college can affect the Nitroscore calculation. Use the save and compare buttons as you run several different scenarios. Hit share to email the results to yourself or someone else, and reset to start over with completely new values. Nitroscore also arms you with another piece of critical information. Use the value for remaining take-home pay to discuss with your child what he or she envisions life will look like post-graduation. Do a quick search to find out what renting a one bedroom apartment is likely to cost in the city where your child would like to live after college. Then make up a mock monthly budget that includes values for rent, car payments, renter’s insurance, car insurance, groceries, gas, water and electricity. Comparing these numbers to the remaining take-home pay may be a reality check about how today’s financial decisions can have a massive impact on tomorrow’s lifestyle. To help your child make even smarter loan decisions, check out our picks to the best banks for private student loans.